Set of 20 small sachets filled with dried French lavender (with no added chemicals). Sachets are made of vintage embroidered linens. Each sachet measures 2 1/4" square. These are great for keeping your dresser drawers smelling lovely. You can also throw these in your dryer to freshen your laundry. These have a very strong natural lavender scent, and will last at least 15 cycles -- I've found they last much longer! 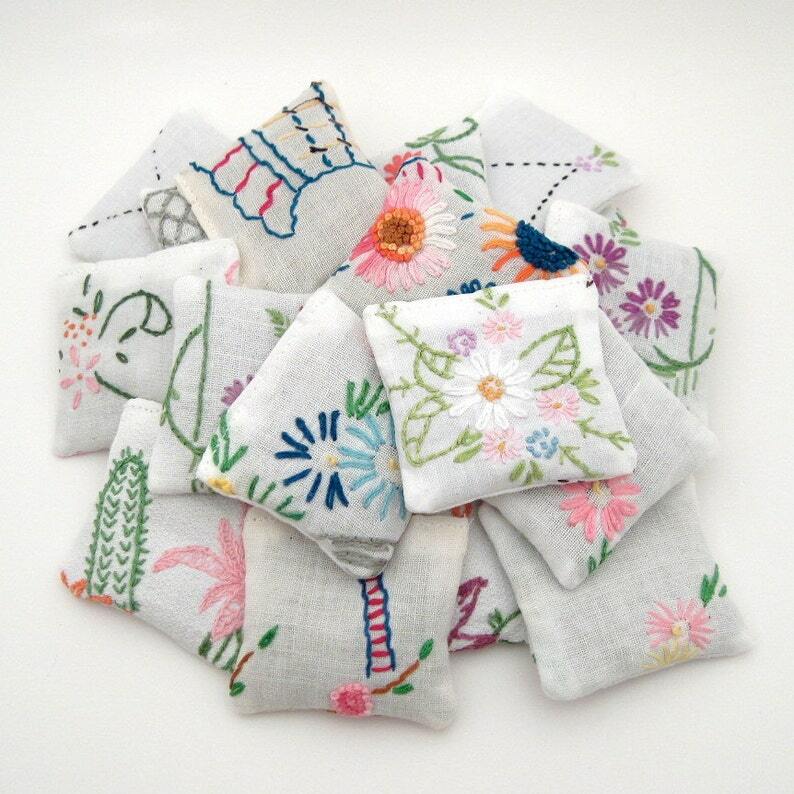 You will receive 20 sachets very much like the ones pictured here, made from different assorted vintage linens. I Love, Love these little sachets!!! So unique, smell great, pretty and are a great thoughtful gift to stick inside a letter or card. I have bought these quite a few times and they are shipped promptly. These are so adorable! I cannot wait to add them to my shop gift boxes. The smell divine! Fast shipping. Will purchase again for my shop!